← Ceaco continues to Baffle! Beware – Fake Rory’s Story Cubes! This week, we’d like to make our readers aware that some third party sellers on Amazon have been selling fake copies of Rory’s Story Cubes. They come with blank plastic “dice” and icon stickers to attach to them. We here at Gamewright are doing our best to monitor and shut down the perpetrators. 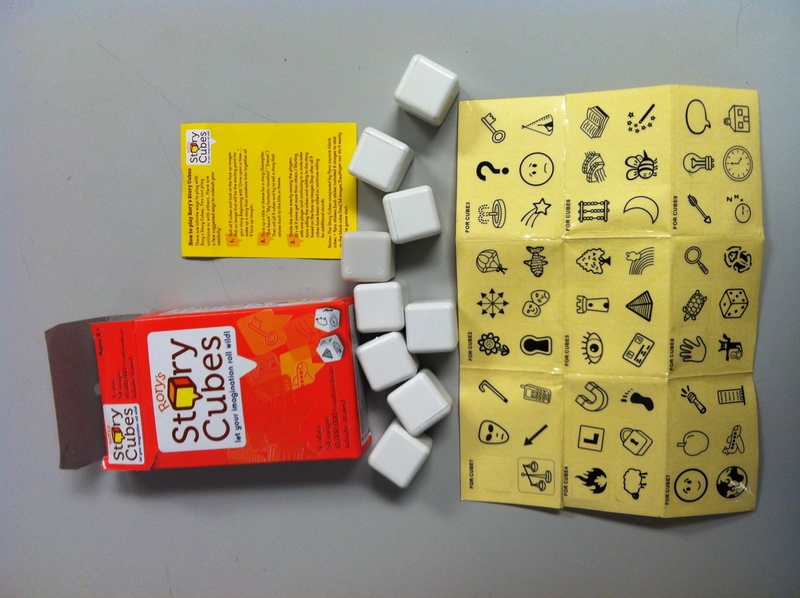 The original Rory’s Story Cubes and the brand new Rory’s Story Cubes – Actions both come in a sturdy box with all icons embedded on the cubes, no separate stickers included. While imitation is a form of flattery and this surely is a result of the massive sales of the game over the last couple of years, we don’t want any of our customers to pay for a lower-quality version of this game than the one that our team has worked very hard on creating, promoting and selling. If you happened to receive a copy of the impostor cubes, please contact pr@gamewright.com with the name and contact information of the seller, so that we can hopefully track them down and ask them to cease selling. This entry was posted in Rory's Story Cubes, Uncategorized. Bookmark the permalink. 1 Response to Beware – Fake Rory’s Story Cubes! I was really excited to see ACTIONS have made it to the US!